Eastern Shore Rabbit Rescue and Education Center, Inc. (ESRREC) on the Chesapeake Bay of Maryland, today announced it has been awarded a $1,000 grant from the Petco Foundation to support its caretaking and rehoming efforts for abandoned pet rabbits. ESRREC, a nonprofit organization that provides temporary shelter and helps find forever homes for pet rabbits, is the only rabbit rescue serving the Eastern Shore. Since it opened its Main Street shelter in April 2015, ESRREC has taken in 105 rabbits, facilitated adoptions for 70 rabbits, and spayed/neutered 82 rabbits. In addition, ESRREC conducts regular “Bunny Care Basics” seminars in the community to help potential adopters understand rabbit needs and behavior. The Petco Foundation investment will help to cover medical expenses for rabbits being housed in the ESRREC shelter or being cared for by foster families. The rabbits are transferred from regional shelters, are surrendered directly by owners, or are brought to ESRREC after being found as strays. ESRREC ensures that its adoptable bunnies are always spayed or neutered, as well as given a clean bill of health by a rabbit-savvy veterinarian. “We are so grateful to the Petco Foundation for the financial support, so that these rabbits can get a second chance at being placed with loving families,” said Cora Dickson, President of ESRREC. For more information about ESRREC or the Petco Foundation, visit www.esrrec.org or www.petcofoundation.org. Join the conversation on Facebook, Twitter and Instagram or by using the hashtag #PetcoFamily.  The Eastern Shore Rabbit Rescue and Education Center (ESRREC), is based in Rock Hall, Maryland. ESRREC ensures the health, safety and emotional well-being of abandoned pet rabbits on Maryland’s Eastern Shore through shelter and care, with guidance to the families who adopt them as companion animals. ESRREC is a nonprofit corporation and has 501(c)(3) status. ESRREC relies on volunteers and donations to support its mission. Its geographic coverage focuses primarily on five Maryland counties to the east of the Chesapeake Bay: Kent, Queen Anne’s, Cecil, Talbot, and Caroline. ESRREC also conducts outreach activities in neighboring Delaware.